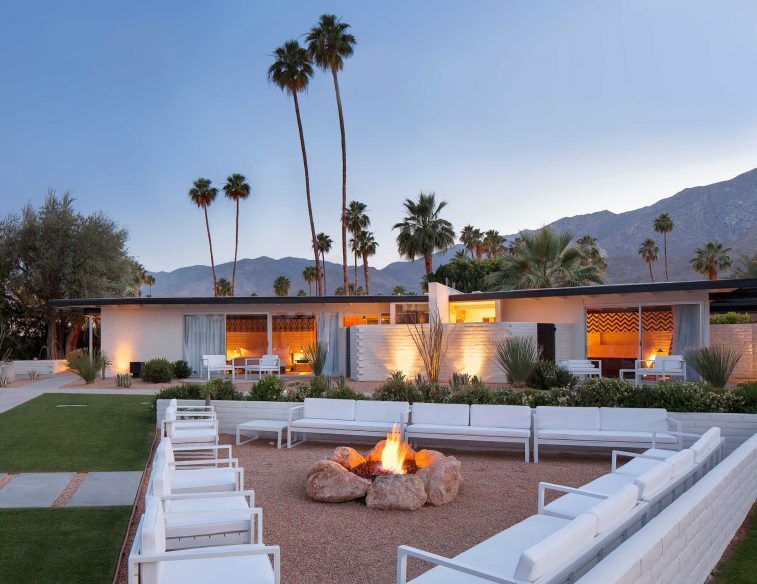 Palm Springs has become a hotbed of hip hotels, perfect for the ultimate hipster getaway, filled with pool parties, cocktails and the laid-back ease of desert life. 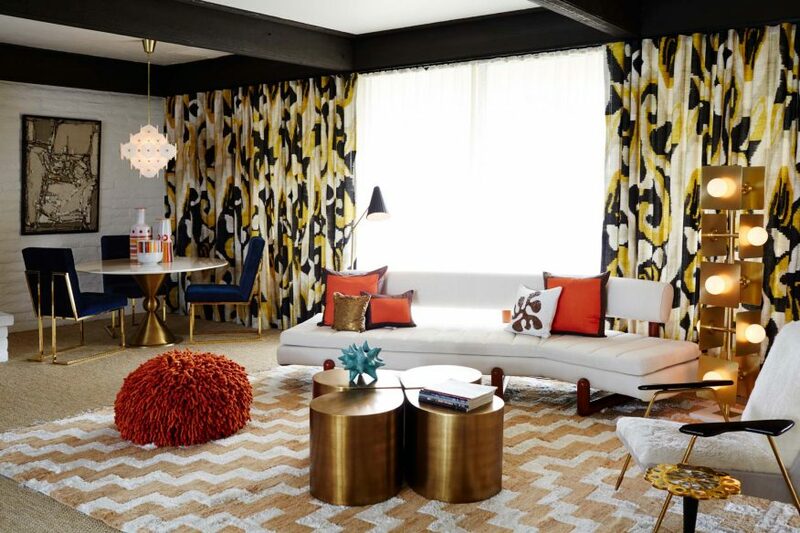 Retro-chic and mid-century style is the Palm Springs classic look, and you’ll also find plenty of fun, playful touches. 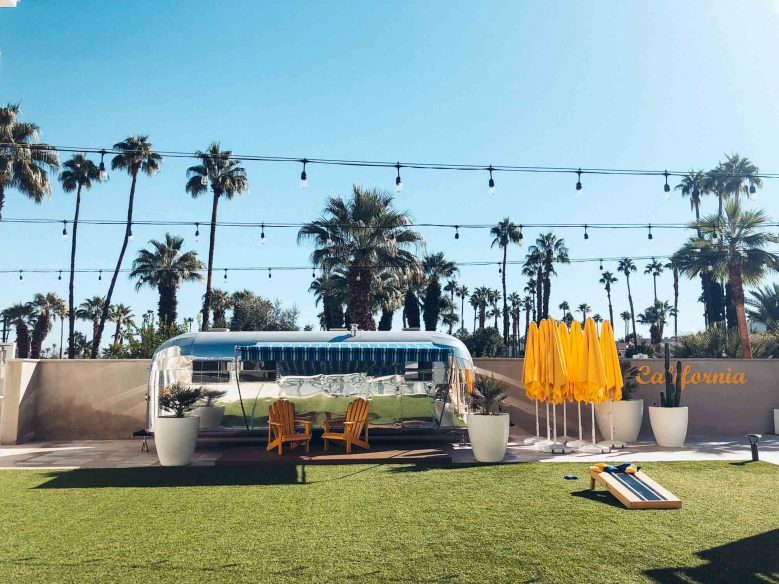 From glamorous luxury retreats to party-filled hotels, this is a rundown of the most hip hotels in Palm Springs. 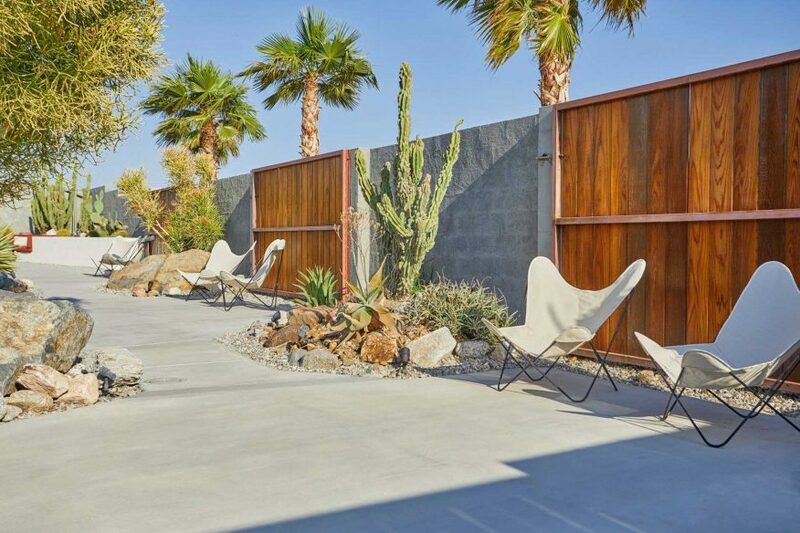 They cover the Greater Palm Springs area, which comprises nine different cities, including Palm Desert and Indian Wells, and all are within 30 minutes of Palm Springs city centre. 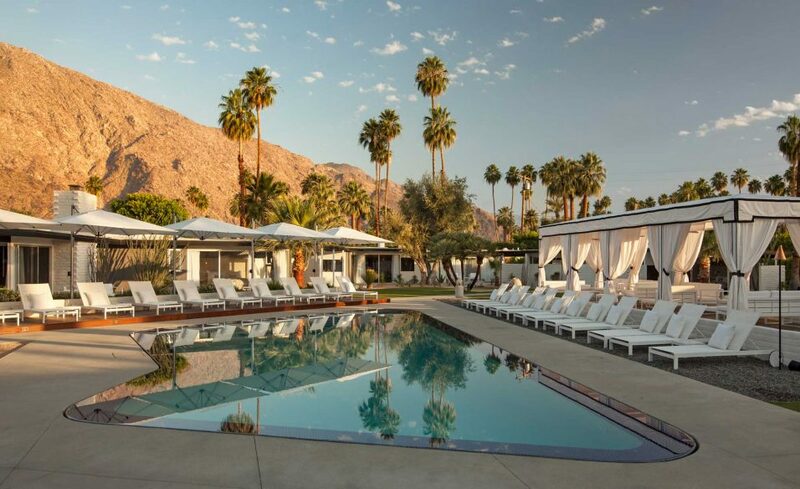 This is our pick of the best of Greater Palm Springs boutique hotels. 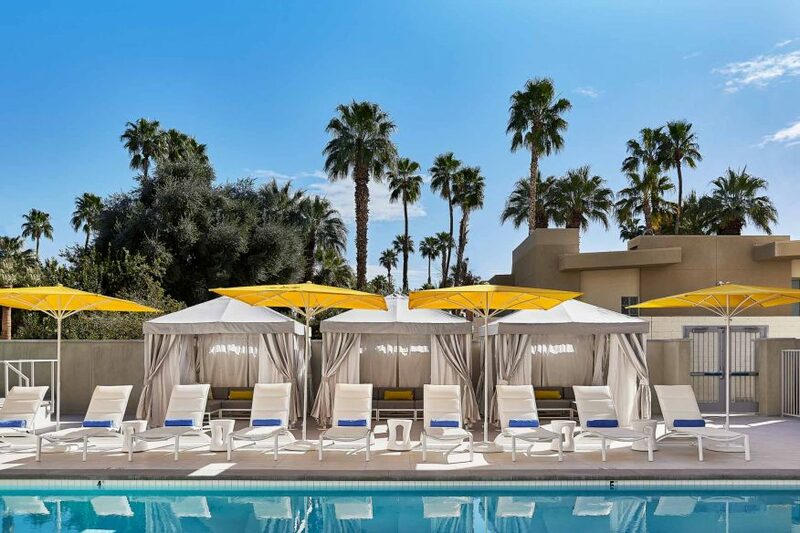 The Kimpton Rowan has quickly become one of the most popular hotels in Palm Springs. 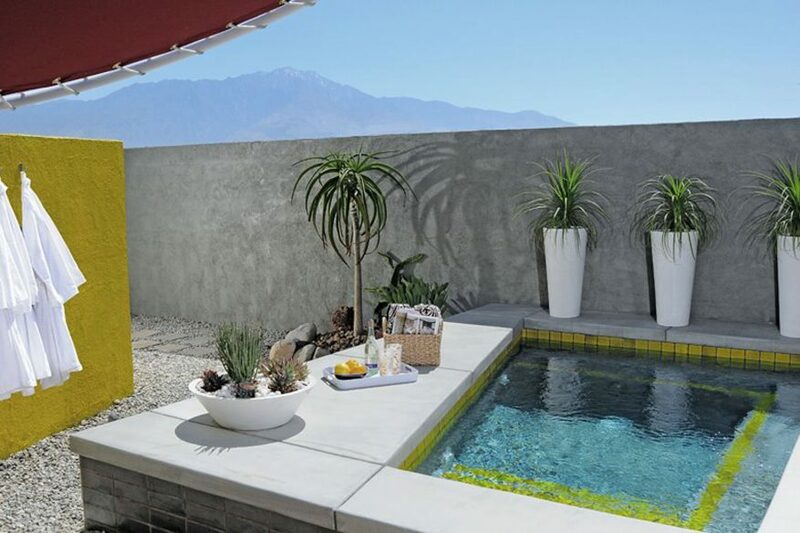 The seven-storey hotel has a rooftop pool and restaurant (4 Saints), offering the best views from downtown Palm Springs. 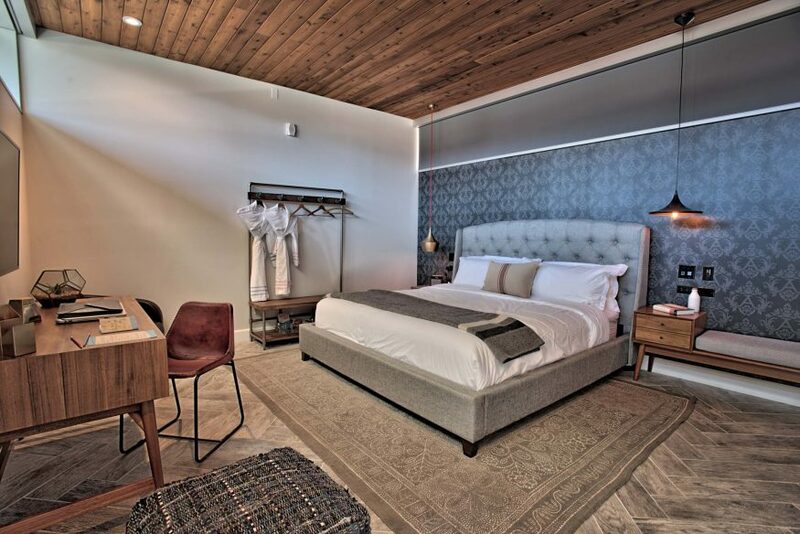 As with all Kimpton Hotels, the design complements the local area and has a distinct hipster edge. 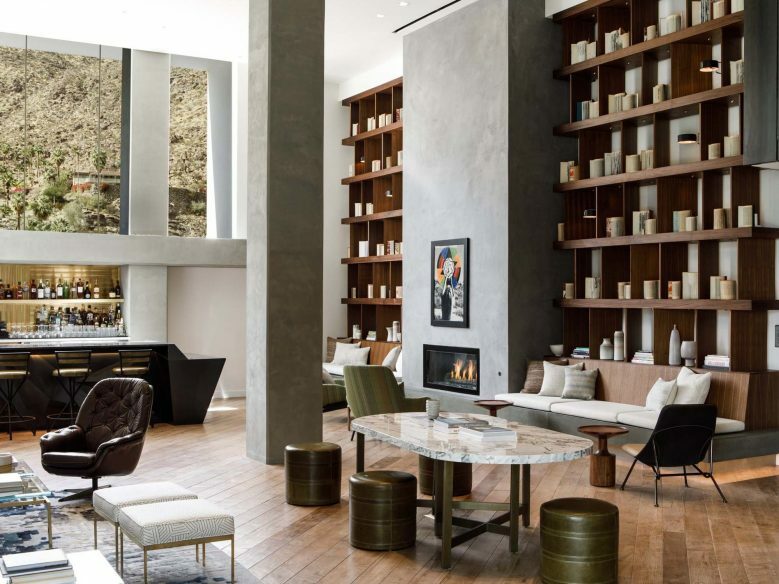 The stylish lobby is an attractive place to hang out, and the downstairs patio restuarant, Juniper Table is also worth a visit. 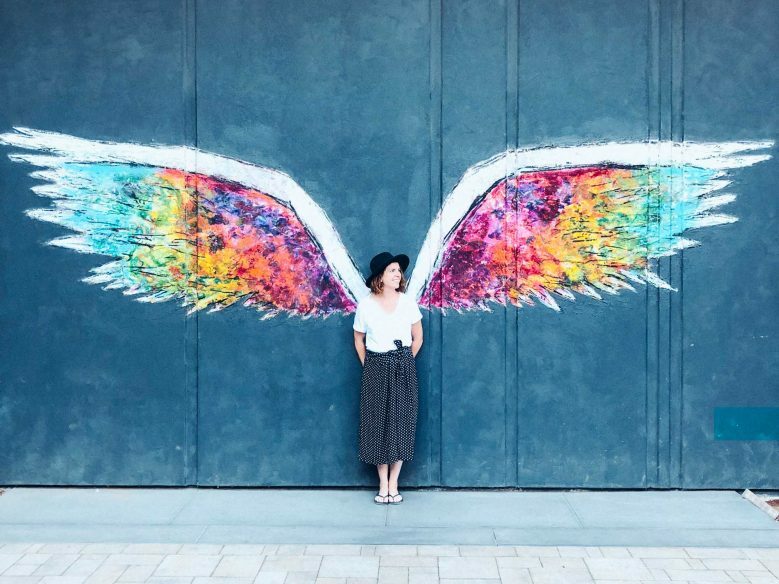 Best photo spots: view from the rooftop pool; the lobby; angel wing mural outside hotel. Rooms start at $293. Find the best deals now. 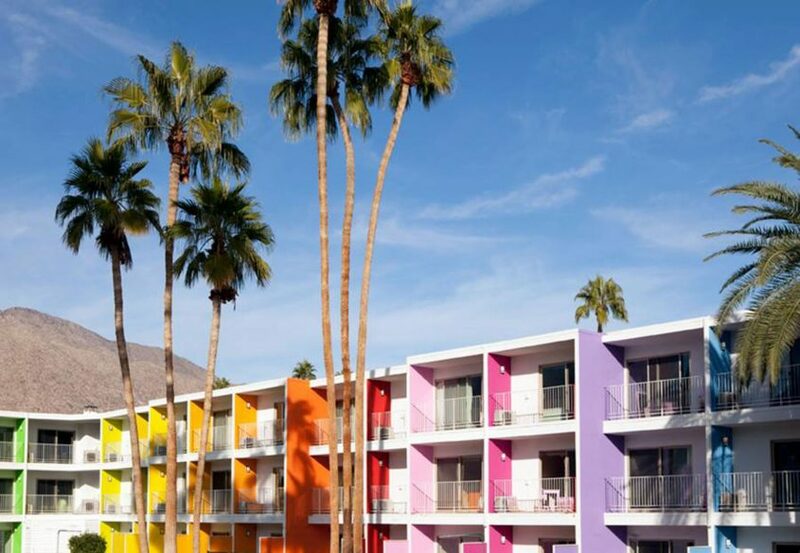 The Saguaro is the Palm Springs Hotel you’re most likely to have come across on Instagram. 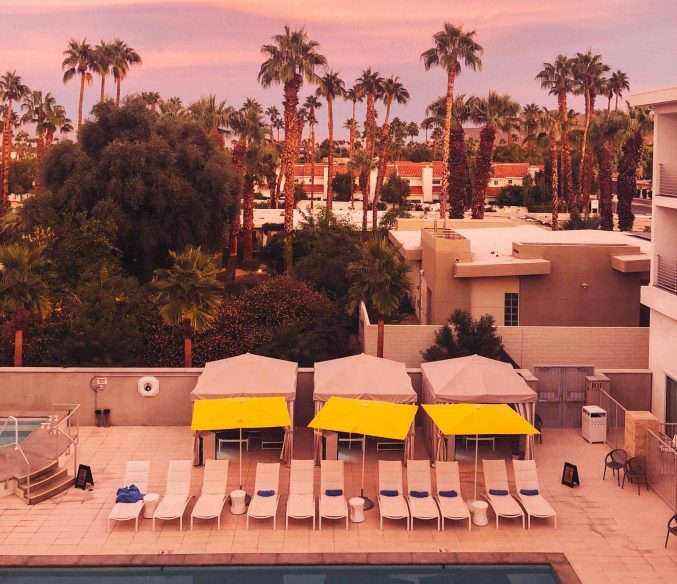 The colourful Insta-worthy hotel is backed by the desert mountains and makes for a particularly photogenic spot, especially down by the pool. 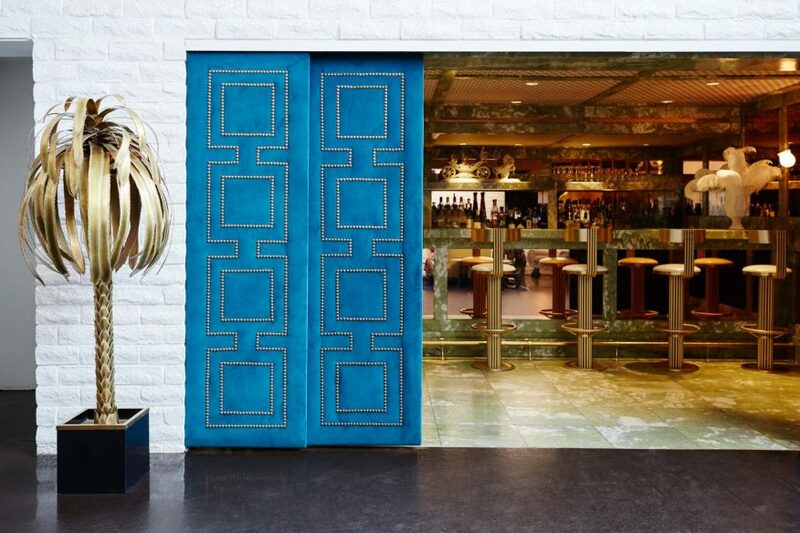 The colours continue inside with comfortable, rainbow-hued rooms, all with a balcony or terrace. 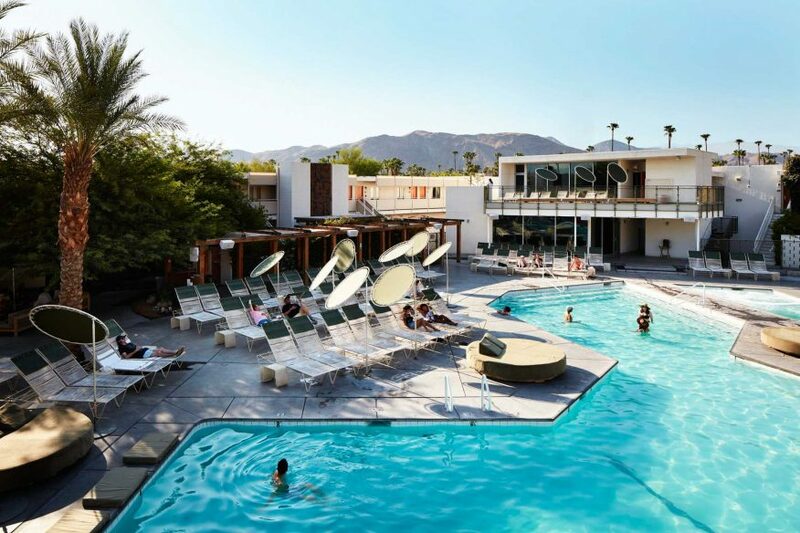 The pool is known as one of the most fun spots in Palm Springs and the hotel is worth visiting even if you’re not staying there. Taco Tuesdays at the on-site restaurant El Jefe are a popular event. 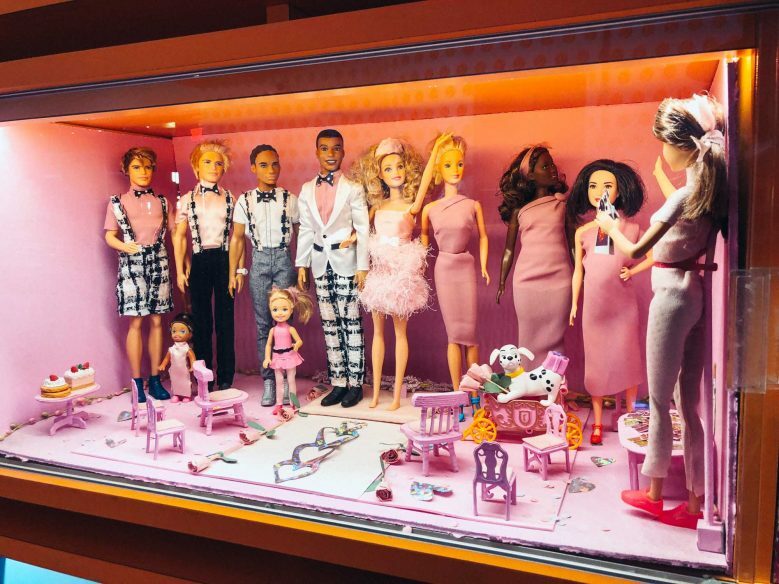 And don’t miss the ‘A Day in the Life at Saguaro’ art installation by Sarah Scheideman, featuring a fun array of Barbie doll dioramas. 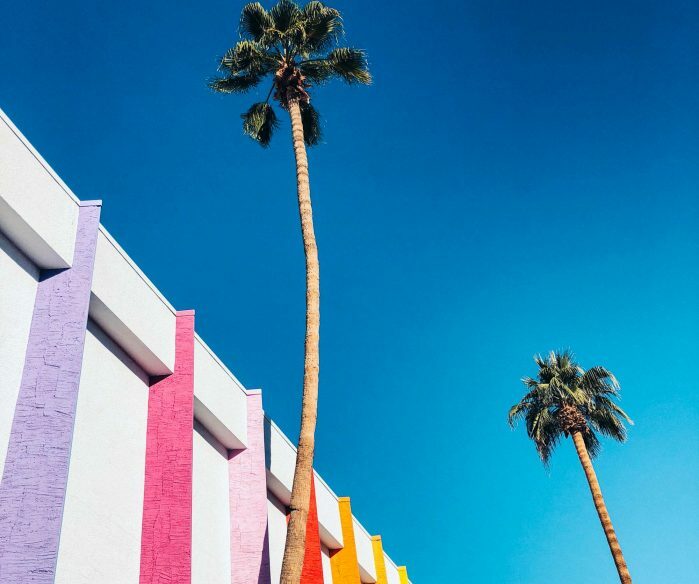 Best photo spots: the pool; Day in the Life at Saguaro art installation; the rainbow-coloured building facade. 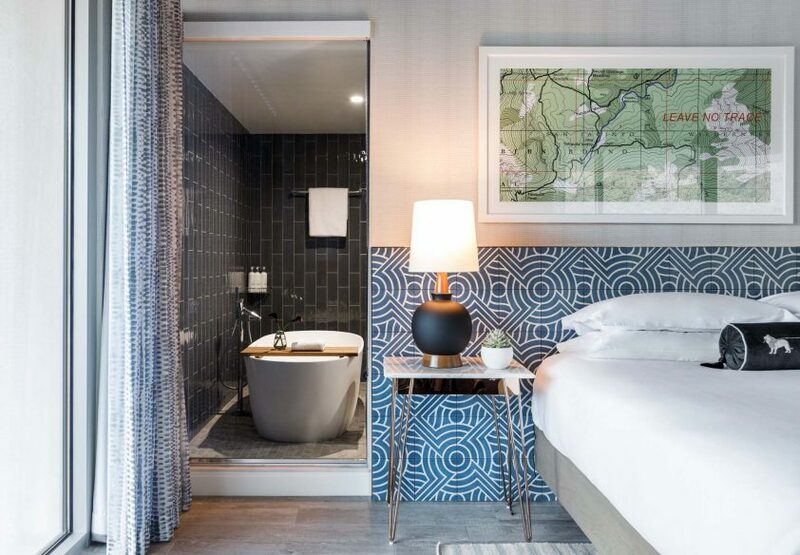 Rooms start at $148. Find the best deals now. 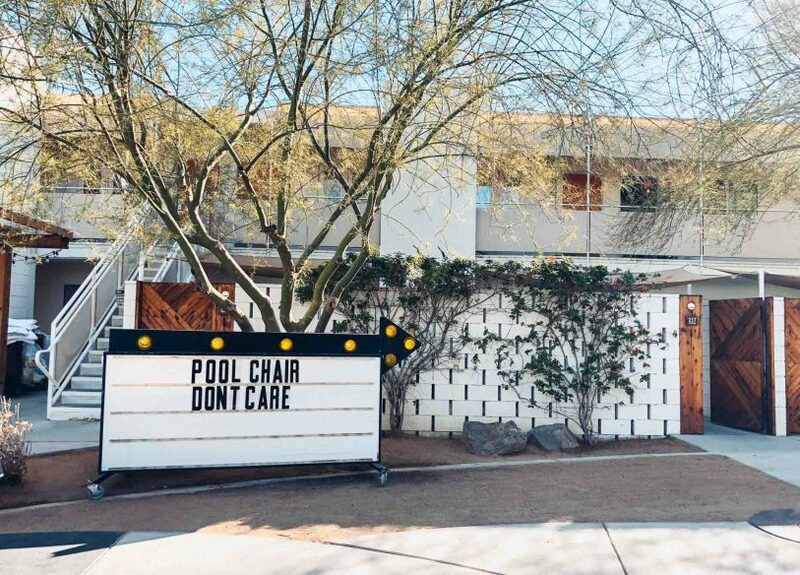 The Ace Hotel brand has become synonymous with hipster style and the Palm Springs branch is perhaps the most hipster hotel of all, describing itself as a place for “freethinkers, wanderers, mystics and artists, like you”. 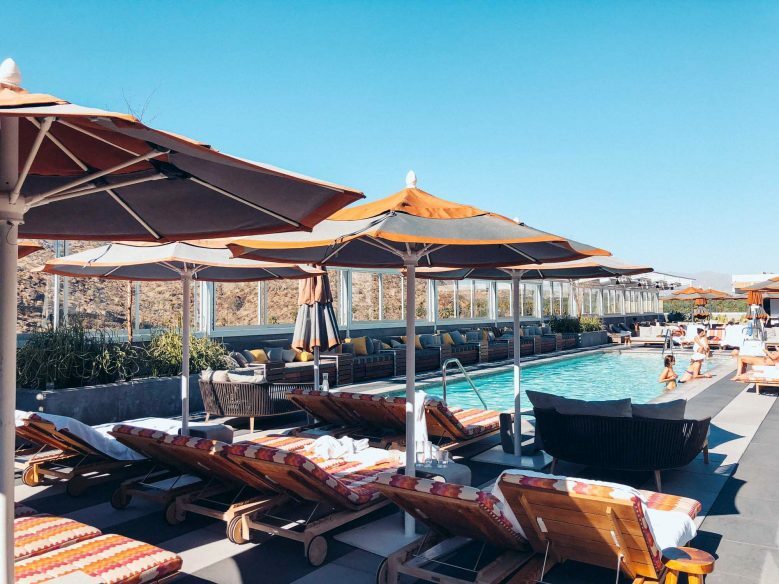 The swim club’s infamous pool parties are a staple for any party-driven trip to Palm Springs, and if you get your timing right, don’t miss the monthly full moon party, complete with drum circle and dancing. 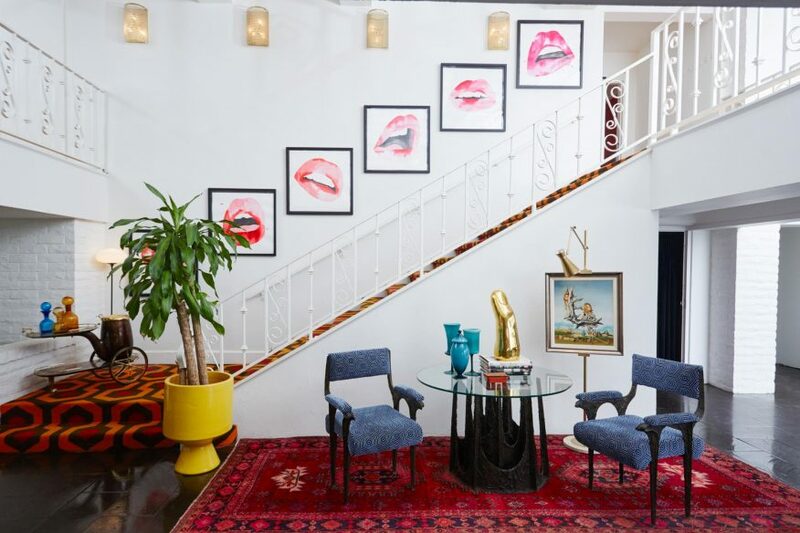 There are 179 rooms, an organic spa, vintage photobooth and roadside diner. And there are events on most nights. 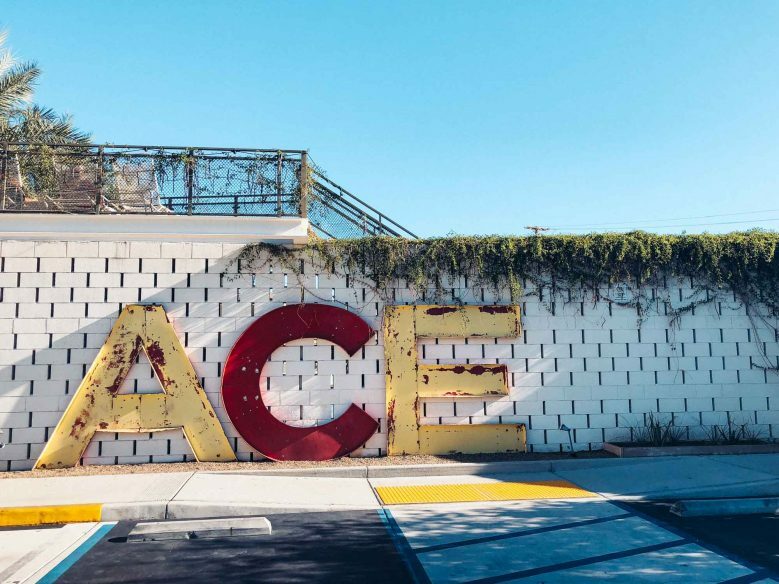 Best photo spots: giant lightbox; Ace Hotel sign; Laura Berger ‘Lifting the Sun’ mural; the pool. Rooms start at $282. Find the best deals now. 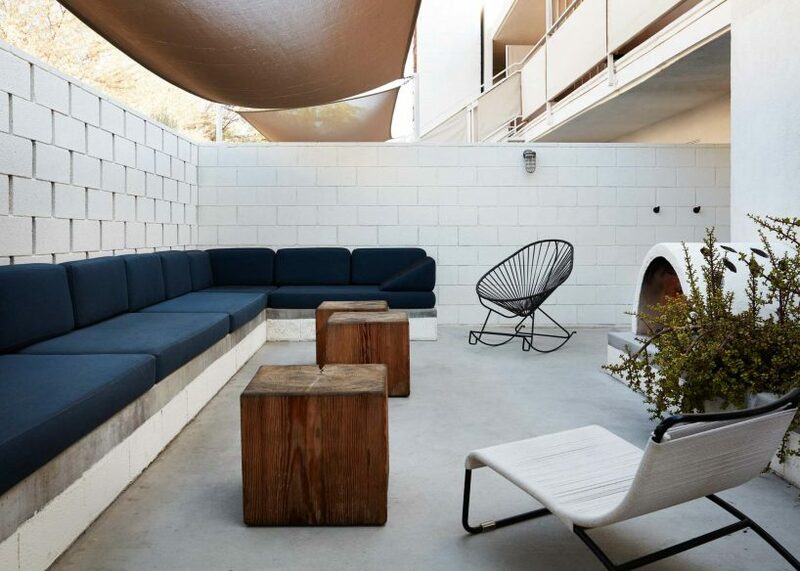 The Parker is the original hip hotel in Palm Springs and still retains its hot credentials. Set on a 13-acre estate, the sprawling resort still manages to feel intimate and the lush grounds are connected by a series of pretty pathways. 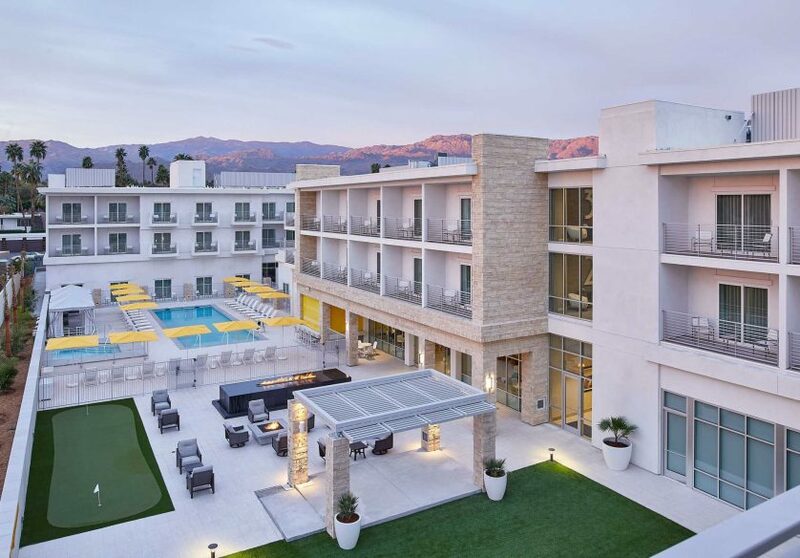 Designed by John Adler and once-owned by actor Gene Autry, the retro-modern hotel attracts celebrities and is also a popular base for Coachella festival-goers. 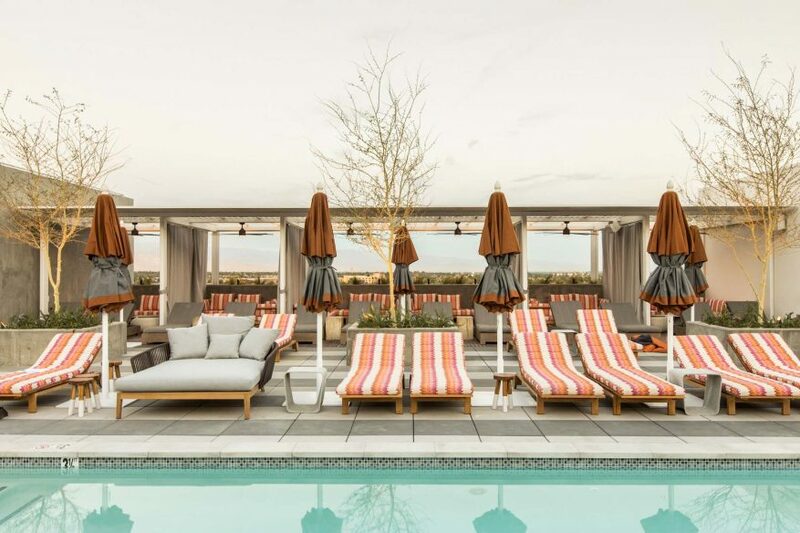 Highlights include the artfully decorated upscale rooms; the hotel’s three pools; brunch at Norma’s; and wine and small plates at Counter Reformation. 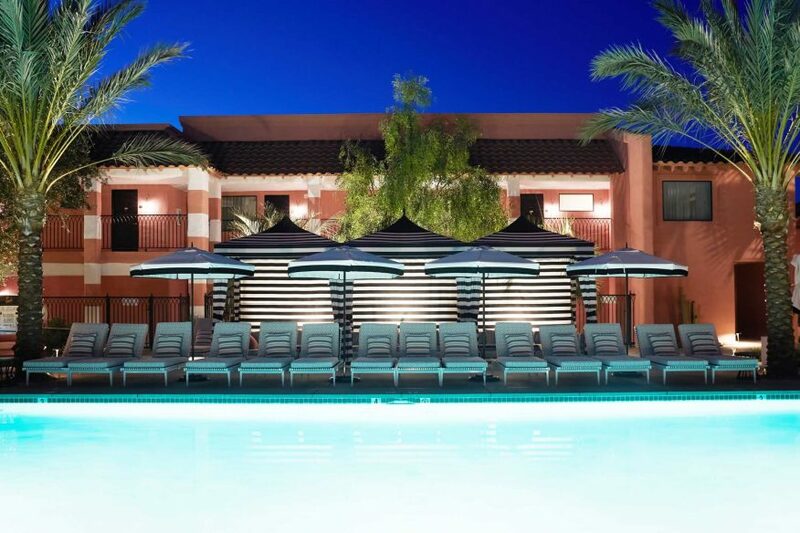 The on-site Palm Springs Yacht Club is a stand-out attraction, featuring spa treatments and an indoor pool. 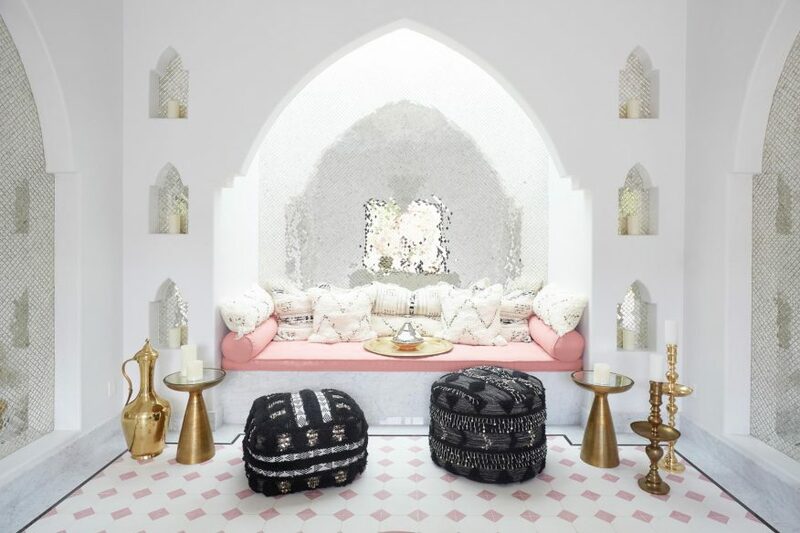 Best photo spots: room interiors; mini bar; lemonade stand; indoor pool. Rooms start at $380. Find the best deals now. 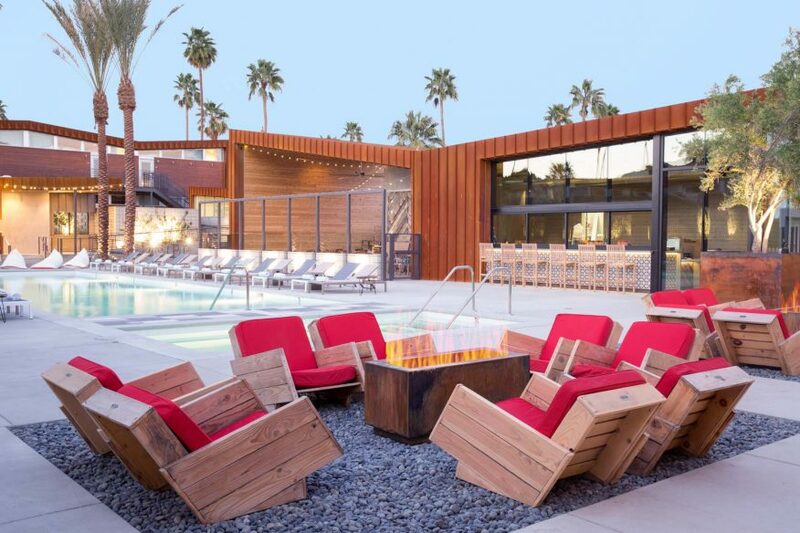 The stylish Hotel Paseo is one of the newest kids on the block and the first of the hip hotels to come to Palm Desert. 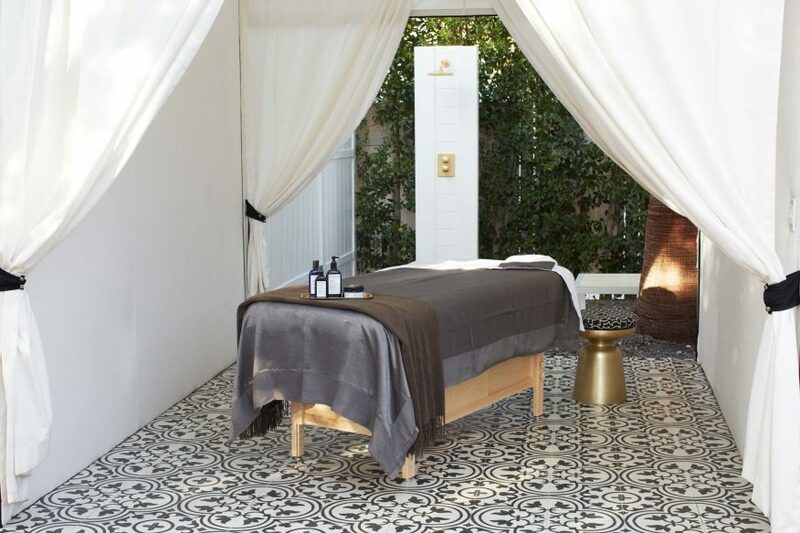 It’s part of the Autograph Collection and is just steps away from the glamorous shops, galleries and restaurants of El Paseo, also known as The Rodeo Drive of the Desert. 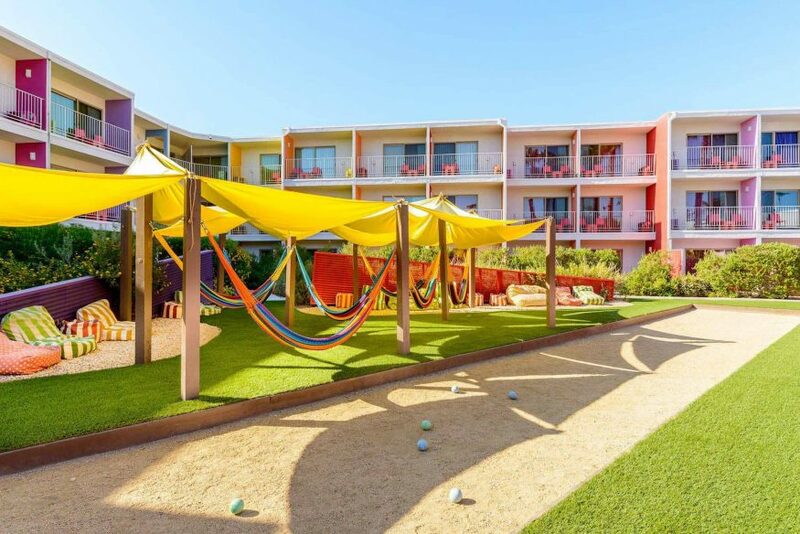 Enjoy morning yoga, followed by lawn games in the afternoon and some relaxation at the in-house spa. 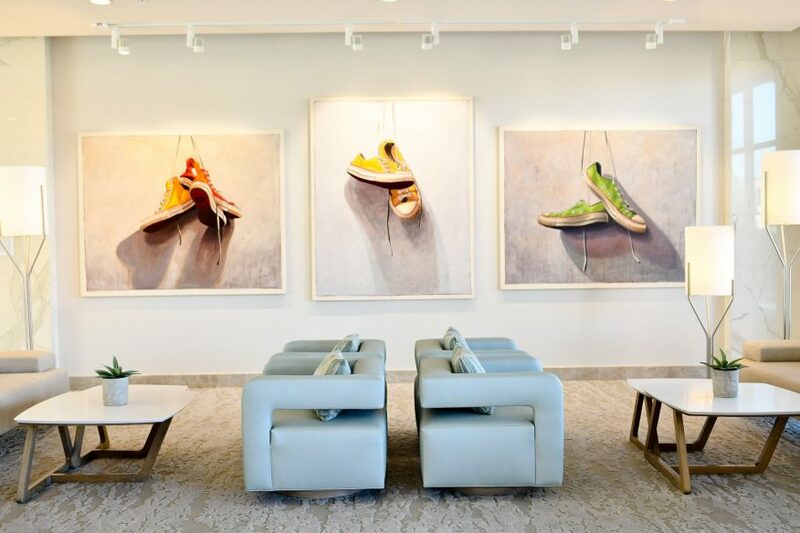 Best photo spots: sunset from the balcony; airstream on the lawn; art in the lobby. Rooms start at $230. Find the best deals now. 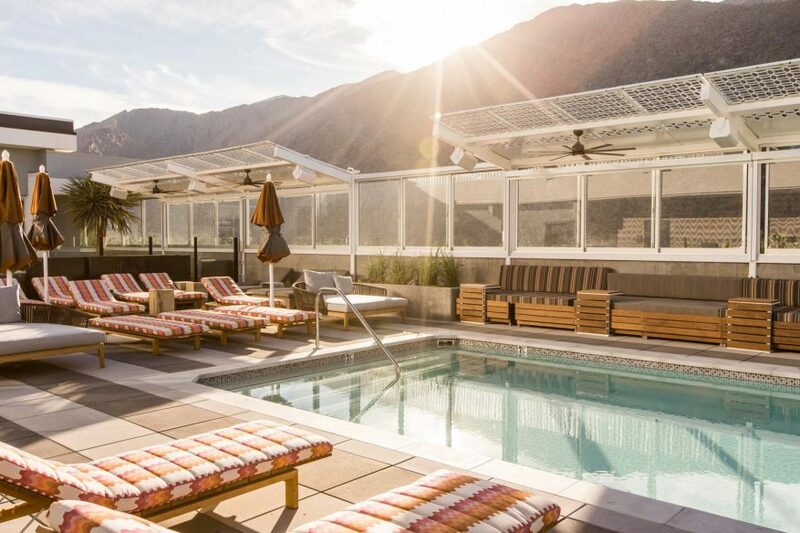 One of the most hip hotels in downtown Palm Springs, Arrive is a laid-back, social hotel with monthly movie screenings, fire pits, cabanas and outdoor games. 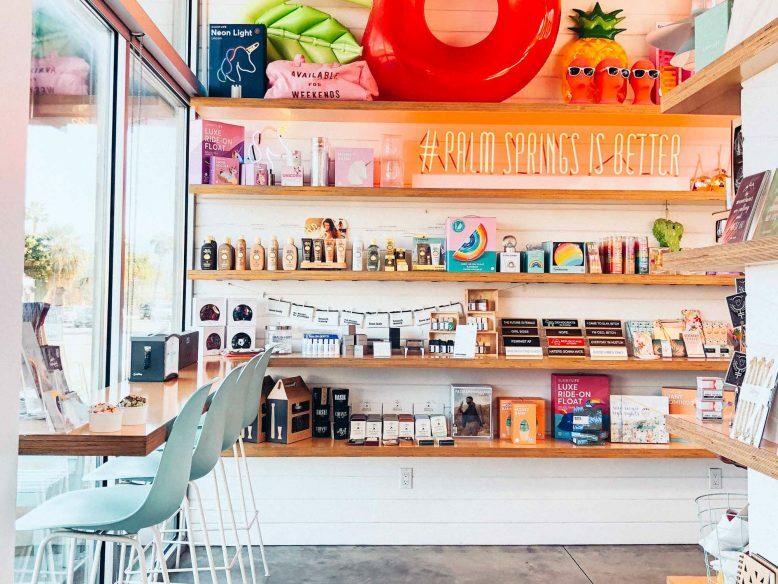 It’s popular with Instagrammers especially the on-site ice cream parlour, Ice Cream and Shoppe, which is a kitsch dream of Palm Springs style. 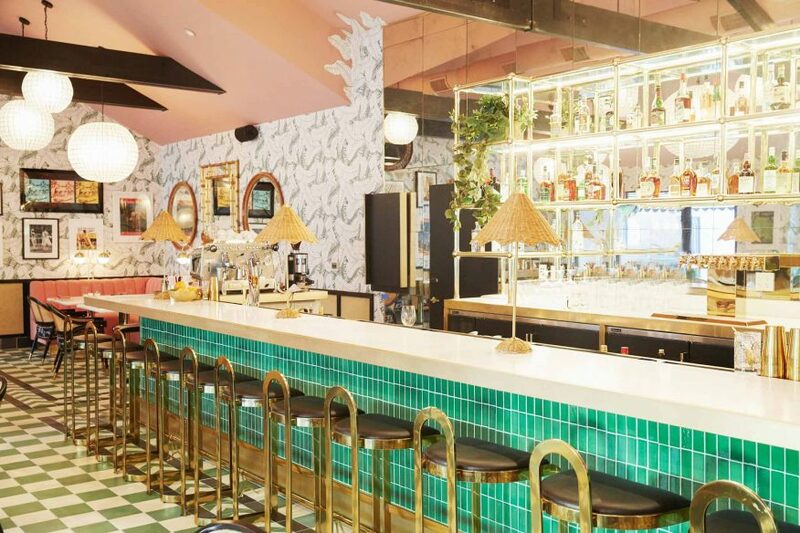 There’s also Wexler’s Deli, a poolside eatery, and the neighbouring Draughtsman gastropub. 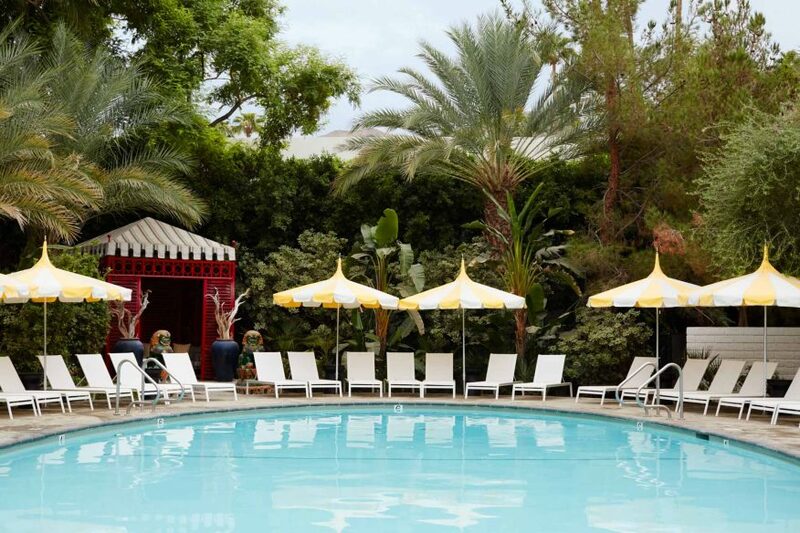 Best photo spots: palm-fringed pool; Ice Cream and Shoppe. Rooms start at $281. Find the best deals now. 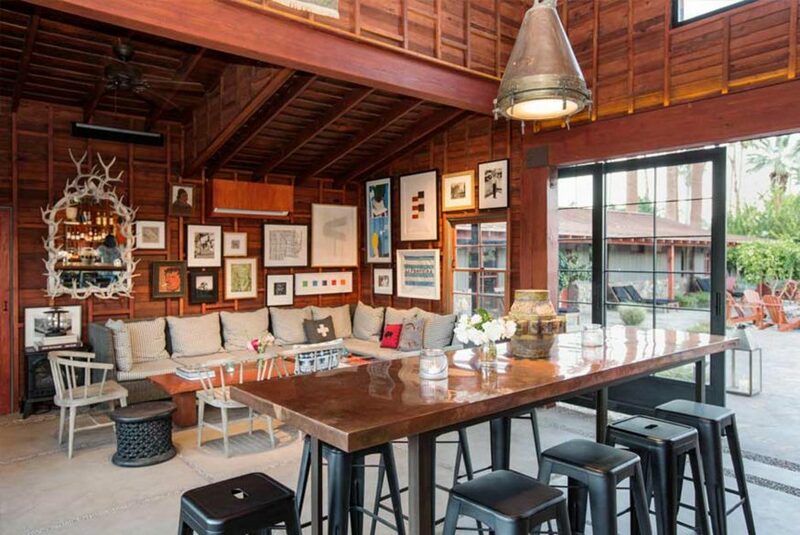 For the ultimate in exclusive luxury, head to the Lautner Compound, a popular event space, which also houses four luxury vacation suites, complete with kitchenettes and patios. 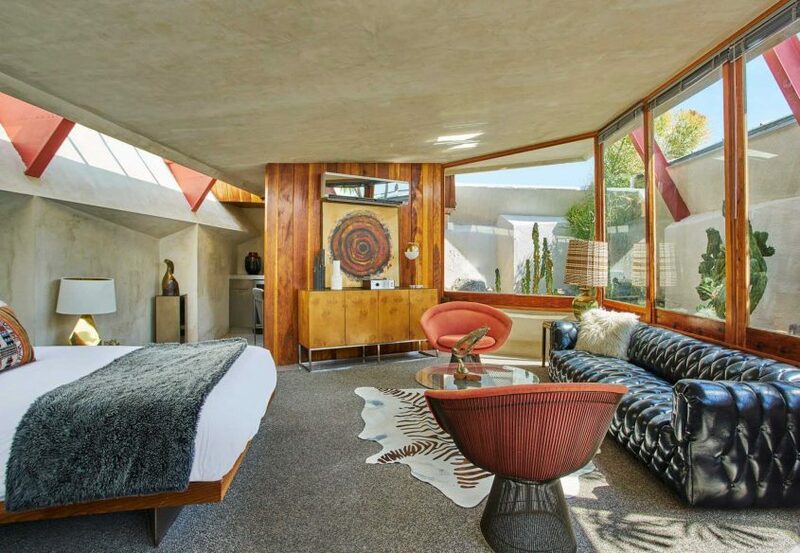 The whole place is designed by visionary architect John Lautner, and is a gorgeous example of desert design. 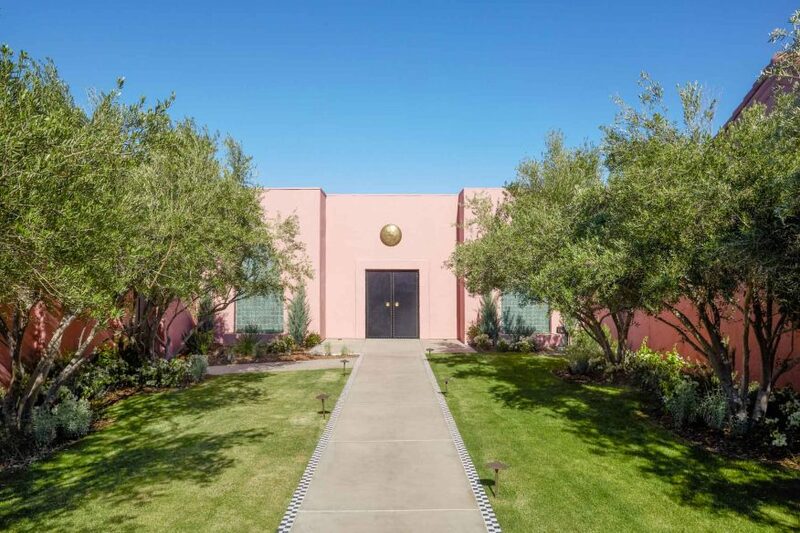 The Lautner Compound is made up of three elements: the four vacation units; the 10,000 sq.ft open-air event space called the Park; and the Ranch House, a California bungalow that’s also used for events/private hire. Rooms start at $200. Find the best deals here. 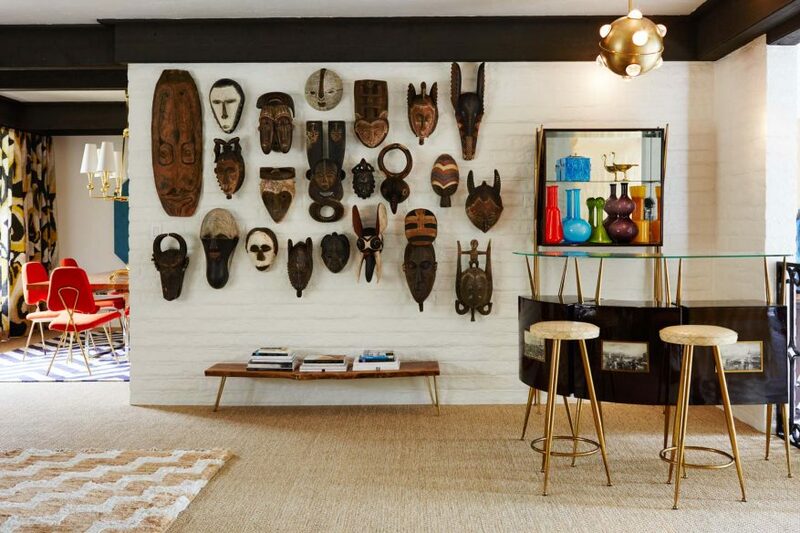 This restored 1950s rustic retreat feels like a secret and has a colourful history as a hideout for Hollywood stars. 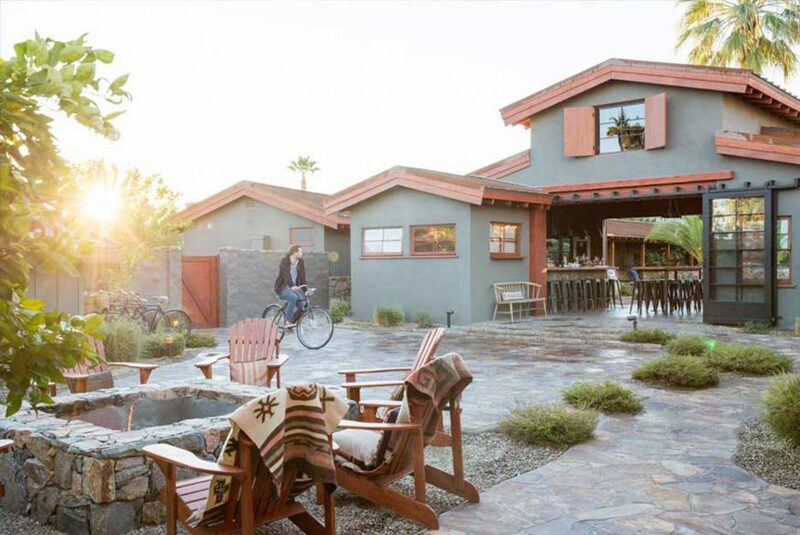 Sparrows Lodge was originally built by actor Don Castle in 1952 and has a laid-back rustic vibe, including a vegetable garden, social barn, outdoor fire pit, and cosy dark-hued rooms. It’s strictly adults only. 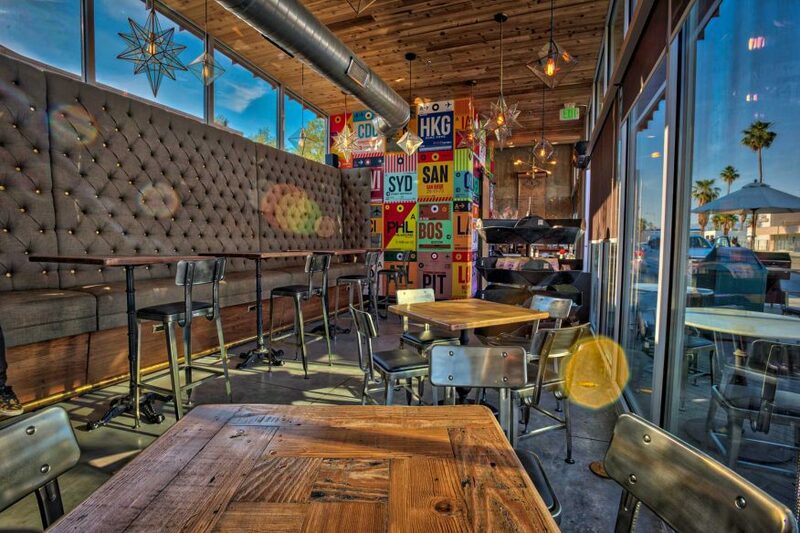 There’s a casual on-site restaurant, The Barn Kitchen Bar and Restaurant. 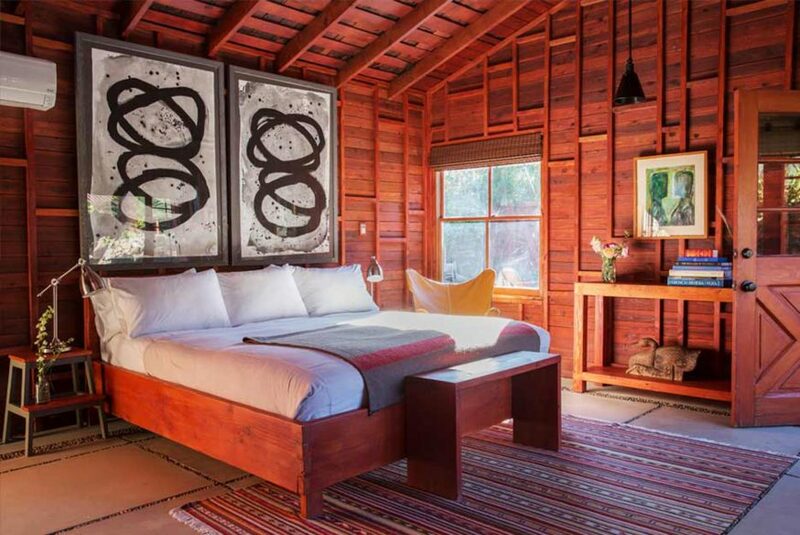 Best photo spots: fire pit; barn; horse trough bathtubs; room interiors. Rooms start at $353 . Find the best deals here. 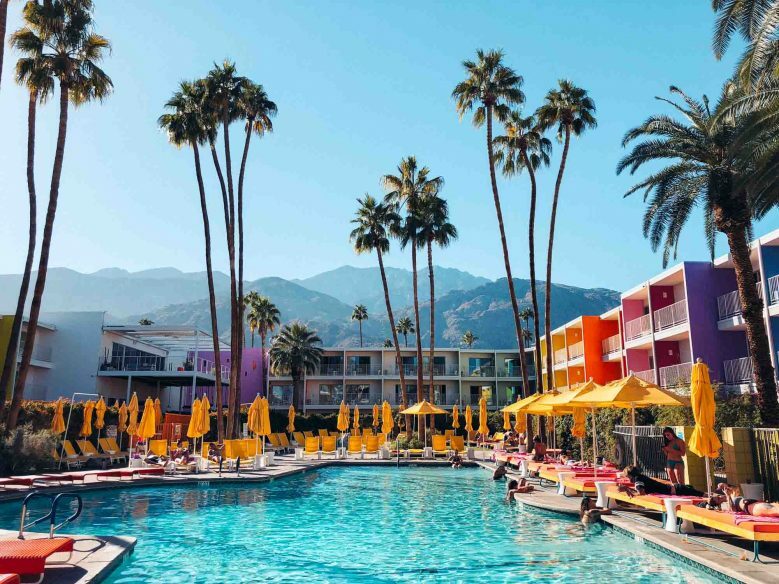 Situated in the Coachella Valley city of Indian Wells, the retro-chic Sands Hotel and Spa is an Instagram dream of geometric tiles, patterned wallpaper and pink pastel upholsetry. 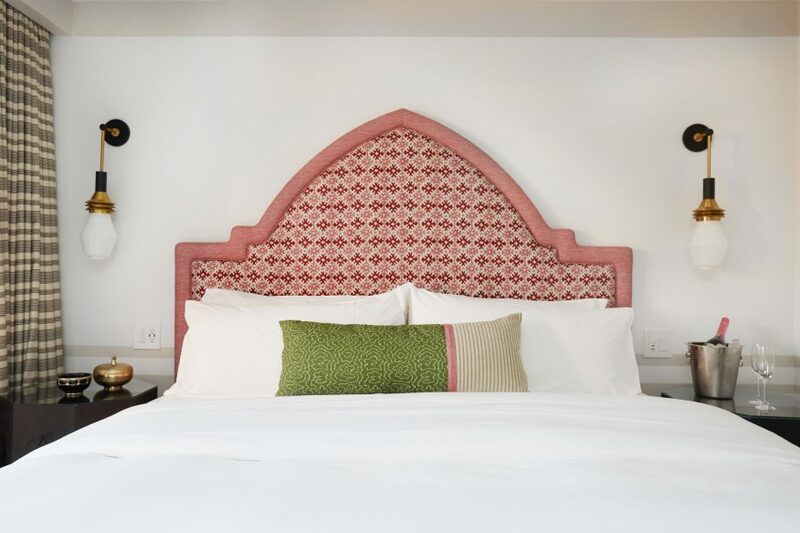 Designed by renowned British designer Martyn Lawrence Bullard, the charming hotel combines Moraoccan influence with the classic mid-century style that epitomises Palm Springs. 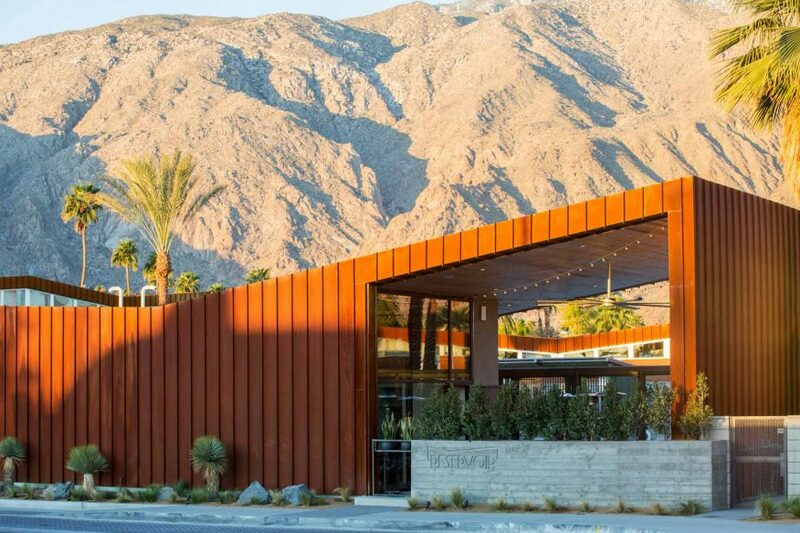 It’s one of the most stylish hotels in Greater Palm Springs, not least of all the Pink Cabana Restaurant and Bar, which is a homage to the 1950s and 60s tennis clubs of Palm Springs. The hotel is adults only. 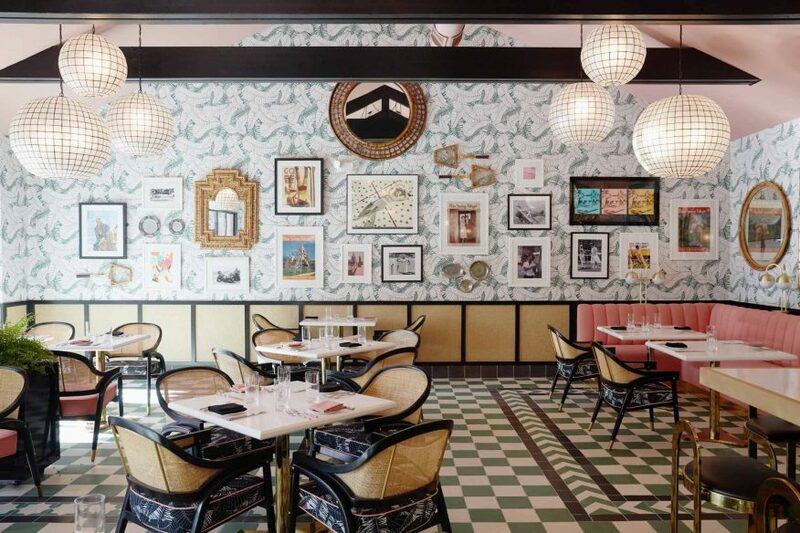 Best photo spots: Pink Cabana Restaurant and Bar; the spa; bathrooms; room interiors. 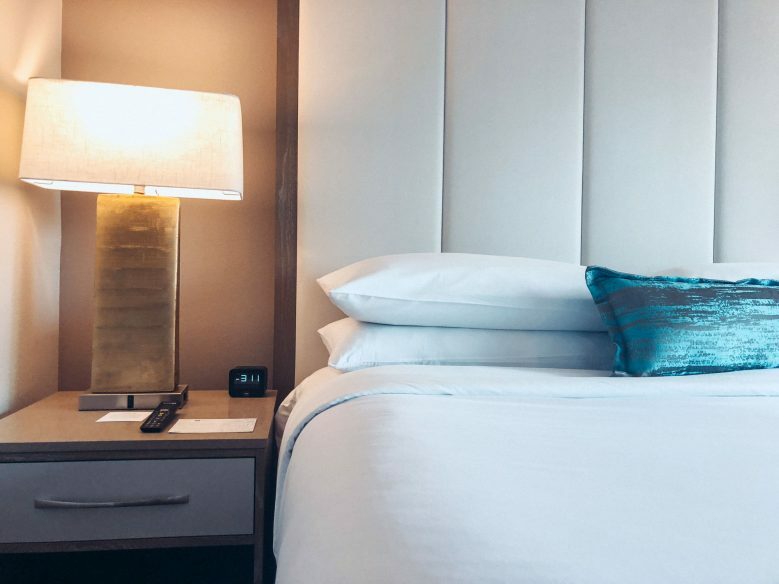 Rooms start at $265. Find the best deals here. 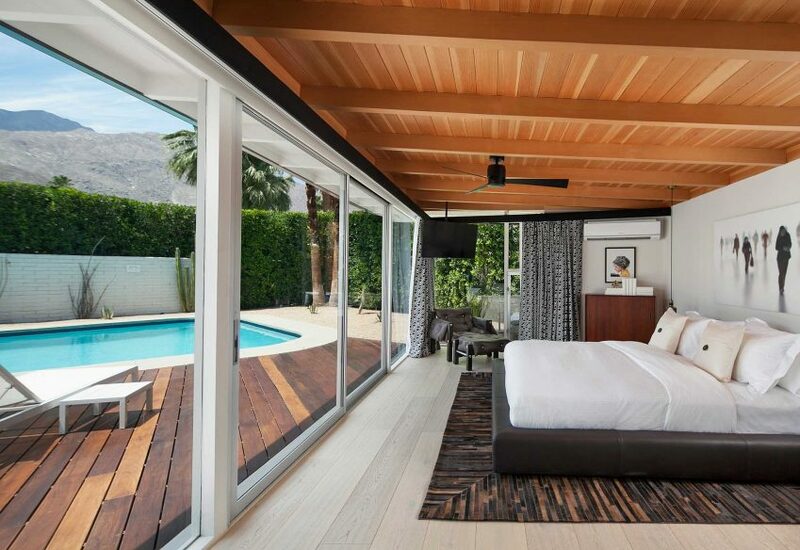 Originally designed as a private family retreat for TV producer Jack Wrather, and used as hideaway by Marilyn Monroe, L’Horizon Resort and Spa is a luxurious resort made up of 24 stylish bungalows. 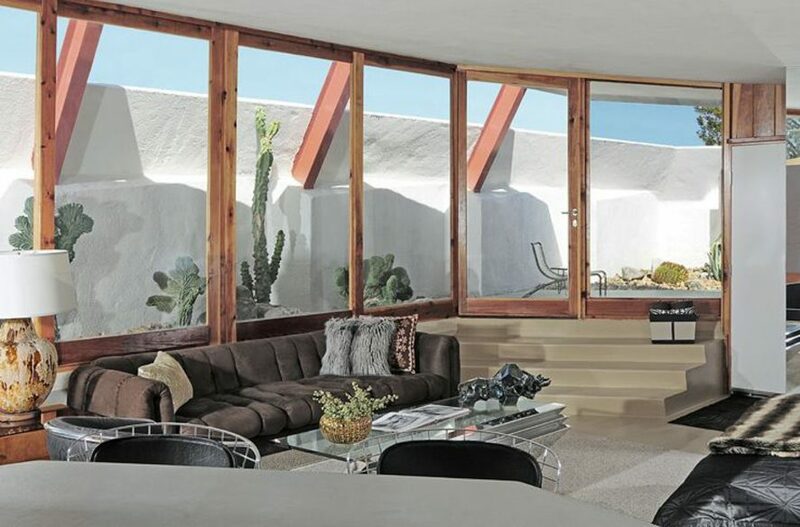 It was restored by Steve Hermann, a designer of high-end LA homes, and the bungalows are made to feel like an elite private residence. Room 10 is where Marilyn Monroe used to stay. Highlights include the infinity pool, guests-only cocktail bar and SOPA restaurant. 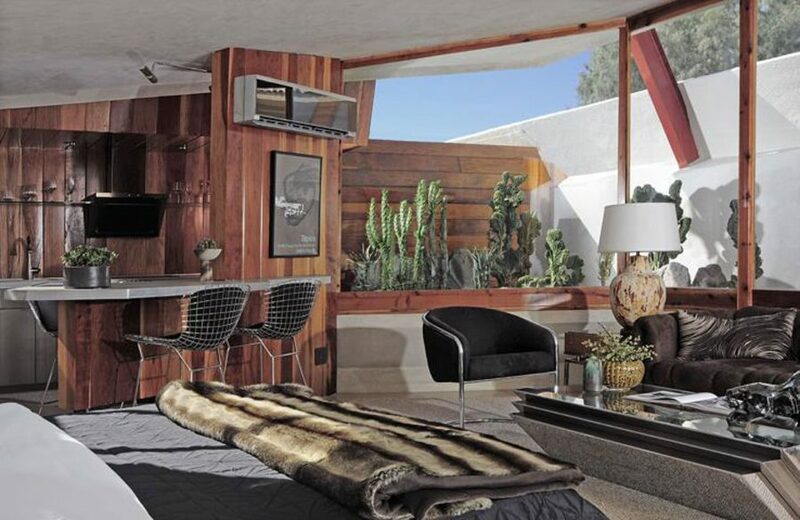 It’s one of the most glamorous places to stay in Palm Springs. 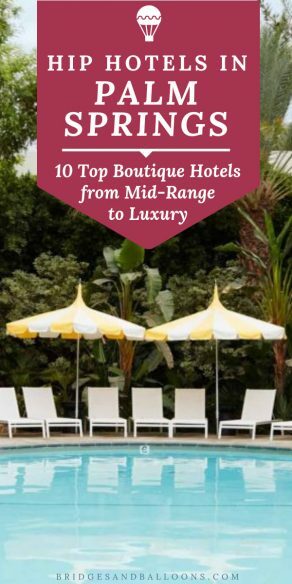 Best photo spots: bungalow patios; the lobby; private massage cabana. Rooms start at $380. Find the best deals here. 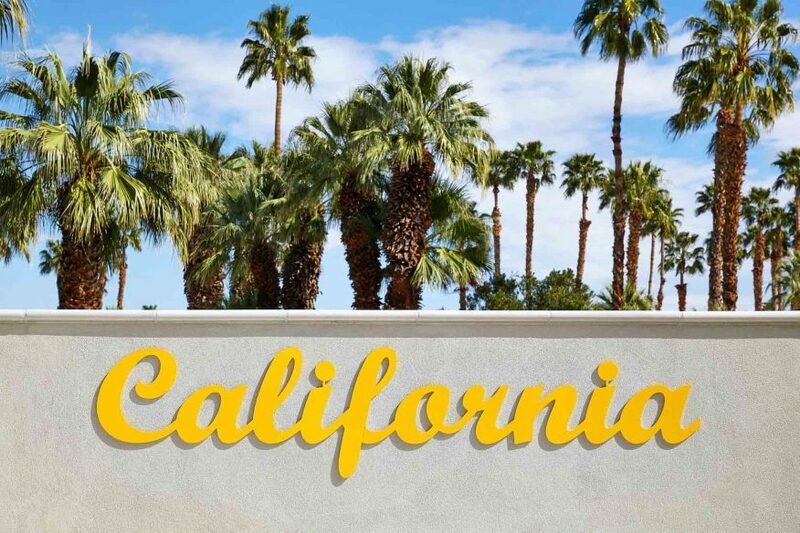 We went to Palm Springs as part of a one-month California road trip. Read the post to find out about everything else we did on that journey, including how much it all cost and where we stayed. For car rentals, we recommend booking with Rentalcars.com. That’s who we booked with, and we find they always have the cheapest deals for mainstream retailers. If you decide to book any AirBnB apartments, use this link as it’ll give you £25 off your first trip. 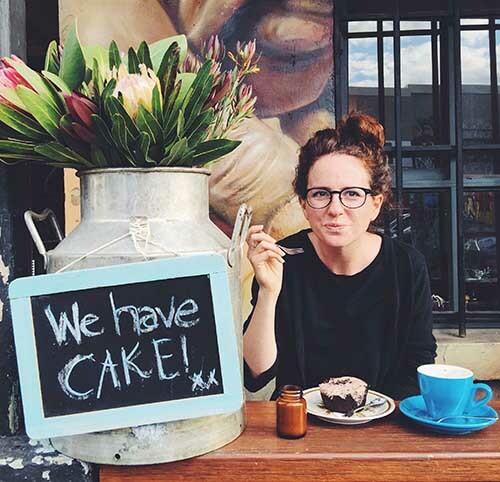 We also have full, detailed itineraries for many other destinations, including 5 days in Iceland; 10 days in Japan; a road trip from Florence to the Amalfi Coast; a South Africa honeymoon guide; and the ultimate road trip in New Zealand. See all our travel itineraries. And if you do this trip, you might also like to add on a trip to Portland like we did. 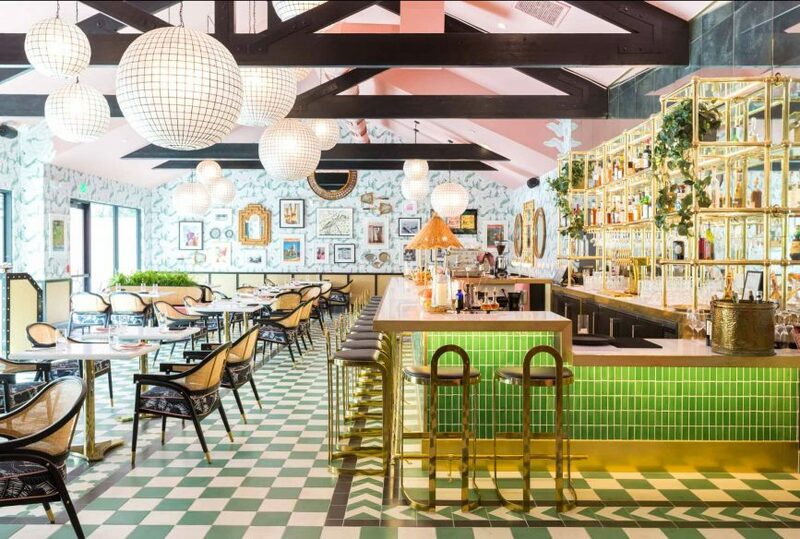 We flew up from San Francisco and I’ve written a full guide on what to do in Portland, plus a guide to the best vegetarian restaurants in Portland. 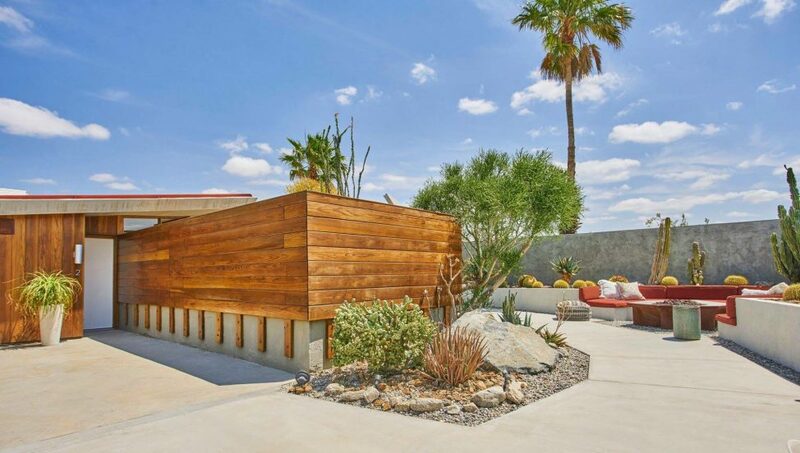 Disclosure: We stayed at Hotel Paseo as guests of the hotel and Visit Greater Palm Springs. All opinions are our own. Read more about how we work with brands here. 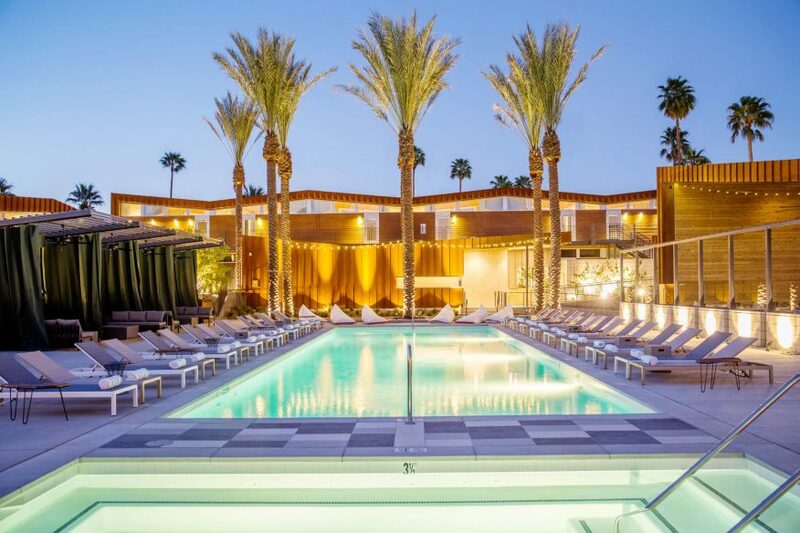 Photos: The photos on this post are courtesy of Visit Greater Palm Springs or the hotels themselves, aside from a few from Hotel Paseo, The Ace, Saguaro and Kimpton Rowan, which I took myself. 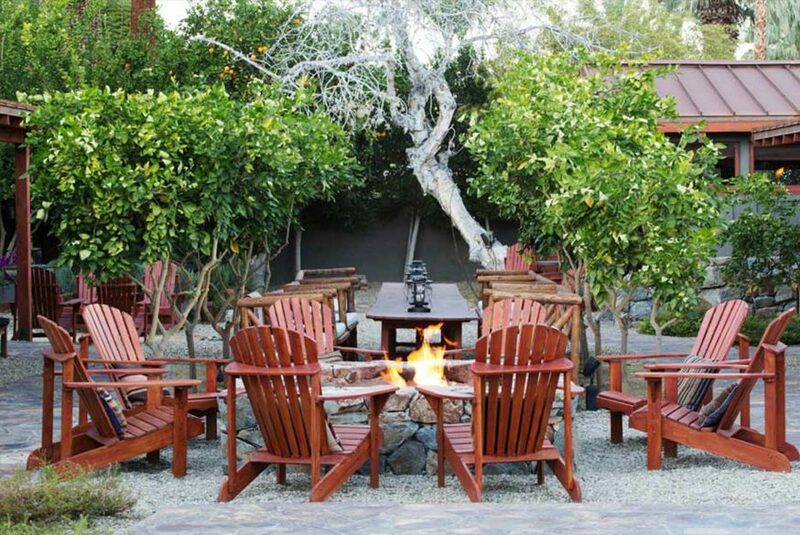 I’ve been in Saguaro Palm Springs Hotel last year for a family bonding. 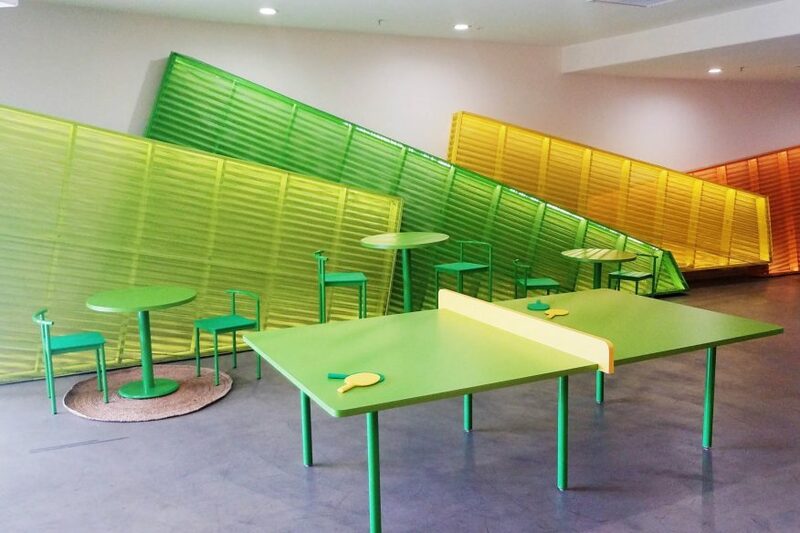 It is not just insta-worthy but very attractive to children because it is colorful. My daughter likes the Barbie doll dioramas.